New Delhi: To control the high prices of medical devices such as stents and implants, Department of Pharmaceuticals has proposed to Health Ministry to bring them under the Drug Price Control Order. 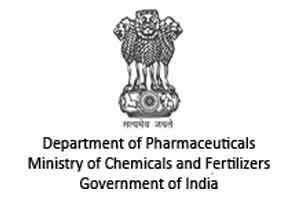 “For the first time the Department of Pharmaceuticals has proposed to the Health Ministry for bringing medical devices and stents under the drug price control order,” Minister of Chemicals and Fertilizers Ananth Kumar told reporters here today. As per the procedure they (Health Ministry) will prepare the National List of Essential Devices which will be then enforced by the National Pharmaceutical Pricing Authority (NPPA), he added. Last year, a task force on medical devices was constituted under the Chairmanship of Secretary, Department of Pharmaceuticals and it had recommended a separate price control order for medical devices by putting them under the Essential Commodities Act. “…the medical devices may be included separately from drugs in the Essential Commodities Act and regulated under a separate Medical Devices (Price Control) Order (MDPCO),” the report of the task force had said.